P.S. All opinions are my own and this post is not sponsored. However, I am a proud ambassador for Danielle LaPorte and the Institute for Integrative Nutrition. Thank you for supporting brands who make it possible for me to create free content for you! Day 4: Goal-Slaying - TODAY! I learned about Danielle LaPorte last year… from where, I can’t remember (maybe a podcast?). She is a no B.S. kinda woman but has such a soulful way of approaching business and goal-setting. I LOVE her approach. Desire Map Planner: For the soulful goal setter in your family or friend group. This is the planner I’ll be using in 2019 and I love that it’s structured to bring intention and hustle to my year. Her Meditations: Danielle’s offering four different meditations that you can access simply by paying what you wish - brilliant! There’s one for creative energy, love and radiance, embracing femininity and love for our beautiful Earth! I think this is an awesome gift idea for someone who’s expressed an interest in meditation but has never tried it out! I love gifting this to my clients. It’s perfect for the person who wants to start their health journey, or hold themselves accountable! Dr. Taz’s integrative medical practice in Atlanta, CentreSpring, is my home for all things preventive health and medical care. 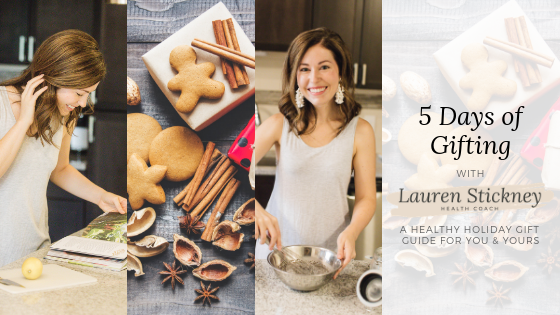 I read her book, Super Woman Rx, before ever visiting their medical practice, and I loved how taking a simple and fun quiz guided me through food, lifestyle and supplement recommendations as well as a full 8-week protocol. I tried it out and felt so refreshed; plus, I made my sister take the quiz, too! Have you ever wanted to change your career to the wellness and nutrition industry? Well, I did two years ago and it was the scariest yet best decision I’ve made in a long time. So much so that I’m an ambassador for their Health Coach Training Program. 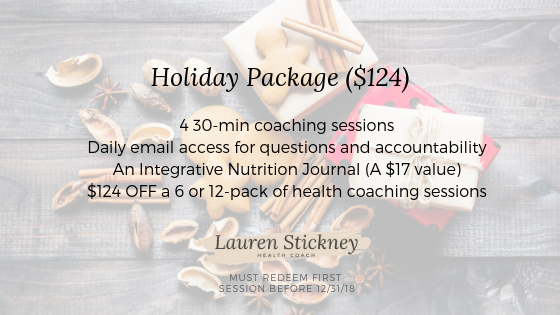 There’s still time this year for you or your loved ones to start on the goal of becoming a Health Coach, by enrolling in IIN’s last class of the year! They’ve extended their Cyber Monday savings until this Wednesday, November 28, and when you enroll, you’ll save up to 30% on tuition, PLUS get special bonus gifts, including reserved seating at an upcoming IIN Live conference. They RARELY offer savings like this and it is worthy every penny as someone who’s gone through the program, advanced courses, and attended conferences! 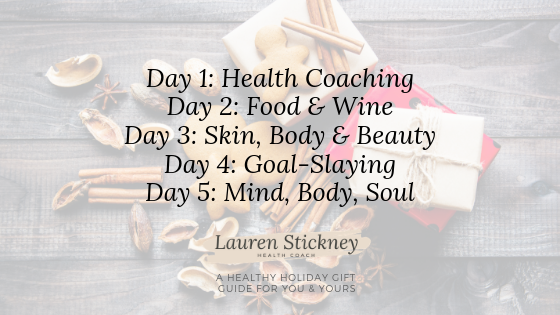 See you tomorrow for Day 5 of the 5 DAYS OF GIFTING where I'm sharing my Mind Body Soul gift guide!